Flowers and plants in pots can look beautiful. Indoors or outdoors they can add charm to any space. 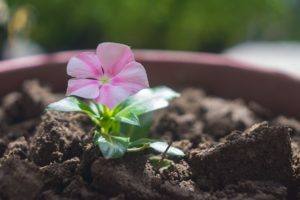 However, their care and maintenance can be an issue for some people as many potted flowers do not grow all year long and require attention to maintain long term appeal. 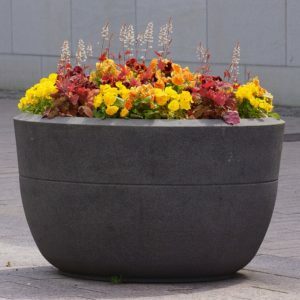 Following are some ideas, techniques and methods for growing flowers in pots for your home. The flowers and plants that will grow best in pots are best determined in by the outside weather conditions of your location and the atmosphere within your house. Flowers that are suitable for pots and kept indoors will usually require daily watering. If you water at night, the plants will absorb the water better than in the day time as most of the water will not be evaporated. Roses are the best flowers to grow indoors for three reasons: they look great, they smell wonderful and they give your house an elegant touch. If you plan to keep your potted flowers outside then the weather conditions will be a factor to consider. If you live in a sunny area, consider plants like marigold, geranium, petunia, bell flower, sweet pea and zinnia. These are only a few examples that follow the similar care procedure and grow best in sunny locations, with the exception of some that requires a little shade at certain times of the day. In contrast to these are plants that cannot take too much of the sun and wilt if not provided with shade. Begonia, fuscia and lisianthus are examples of such plants. You also need to remember the fact that soft colored flowers are typically best suited to shady areas of the garden while the bold and brighter colored flowers are usually better adapted to thrive in sunlight. If you have your pots outside the house, in your backyard, and you know their time of the season, or taking in of the outside atmosphere, is over then you must use a pest spray to make sure you don’t bring inside pests along with the flower pots. If you are considering a buying option then commitment is a very important factor when it comes to buying a flower. If it is a high-maintenance flower and you cannot take it, then drop that flower, choose another one. Also, deciding on the theme that you want in your house is another consideration. If you want to make it look formal, use similar colors throughout the house or come up with a sophisticated combination. Blue and white could be one good combination and black and white is other one. The choice of potting soil is of utmost importance. Go for the one that is porous and well-drained. You can get it easily from an expert or from the market. Also, you could try and get a recipe to make your own potting soil, be it from a book or look it up on the internet. You will find several easy recipes to suffice the flower you have chosen for your pot. When choosing a pot for the flowers, you need to take into consideration the kind of flowers you have chosen. Here’s where a lot of research work, or an expert advice, is required. Get to know your flower or the plant you are getting, the space it will need to remain cozy, the time-span during which it will gain on size (faster or slower) and the best location in your house for it to grow finely and happily. You can use spikey plants to make windowsill or a patio more captivating. Be creative with the choice of pots you use. You can even go for wooden boxes, ribbons and different shapes of containers to flaunt your flowers. Another tip is to use hanging plants, such as sweet potato vines, to make your house look even more attractive. Don’t forget these and pay heed towards taking care of them. Cutting dead-heads of such plants is important for the blossoming of these plants. Continuous fertilizing is the key to have your potted flowers blooming.